Featuring state-of-the-art, precision CNC machining equipment, Avantech’s production machining capabilities can manage projects of all sizes. Leveraging our significant investment in CNC machining equipment, and true to our vision of “bringing new products to a global market,” Avantech has established world-class production machining capabilities at our Baxter, Minnesota facility. Led by a team with more than 100 years of combined production machining experience, and featuring state-of-the-art, precision CNC machining equipment, Avantech’s capabilities can manage projects with lot sizes ranging from one piece to 10,000 pieces, in materials including gray iron, ductile iron, steel, stainless steel bar stocks, and castings. Avantech services a broad range of industries and end-use markets on a global scale, including construction, agriculture, forestry, oil and gas, recreational, and various industrial sectors. 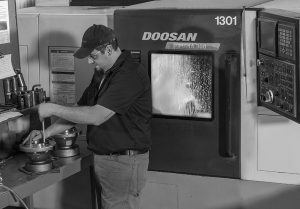 We also offer additional value-added services to our CNC machining, such as custom fixture-building and parts washing. With our “Think, Create, Advance” mindset driving Avantech’s production machining capability, we’re locked, loaded, and ready to engage with rapid quote turnaround time and industry-leading delivery times. 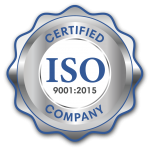 Our collaborative, solutions-focused approach results in high quality products and services that exceed our customer’s expectations. We are customer-centric and work rigorously to enhance our partners’ success via the added value of our products. We share accountability to continuously improve all aspects of our business: our systems, our processes, our products and our people. Our progress is benchmarked through the use of key performance indicators and statistical measurement tools. We strive to incorporate our mantra of “THINK, CREATE, ADVANCE” in everything we do.